Considered by many one of the best places to live in BC – and Canada as a whole – Mid VI offers boundless potential. It is a place to achieve goals and make the most of life. Mid Vancouver Island is located in the heart of the Vancouver Island. Within a short 18 to 20 minute float plane or helicopter ride you can be in the heart of downtown Vancouver. 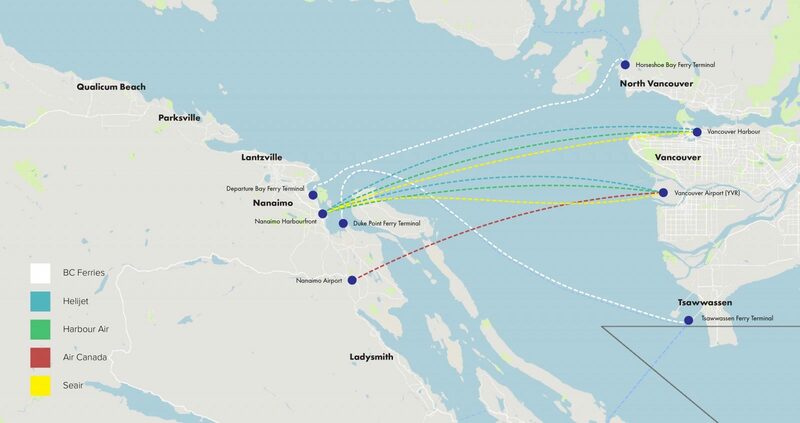 The Mid VI region is likely the first stop for anyone travelling from the mainland to Vancouver Island. Nanaimo is the epicenter of Mid Vancouver Island – an urban centre only second to Victoria, and fourth in all of BC. Getting its name from the Snuneymuxw First Nation, our city is rich in heritage and culture, and is called home by half of the region’s population. 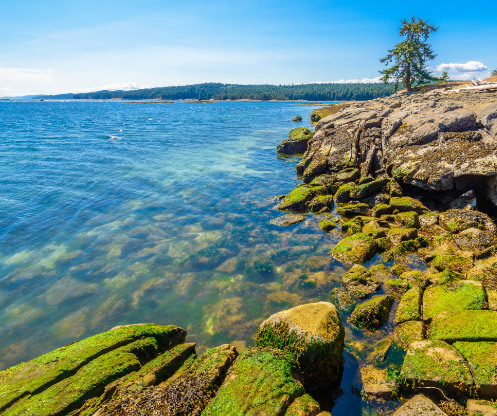 Proudly referred to as The Harbour City, Nanaimo serves as the economic and transportation hub of the region, while being mere minutes from the ocean and innumerable natural experiences. Known for its expansive sandy beaches, and close proximity to natural parks and destinations such as the quirky Coombs Market, Parksville is a key tourist destination in the region. Originally known as “The River”, the Parksville area was first settled in 1870 by John Hirst—whose name adorns the main road through town. As part of the community known as “Oceanside”—including Qualicum Beach, Nanoose, and French Creek—this vibrant and relaxed ocean city is a blend of long-time residents and new arrivals. As a close neighbor to Parksville, Qualicum Beach is a active coastal community offering residents a unique, relaxed lifestyle. With a population just less than 9,000 residents, this close-knit community celebrates its small town atmosphere and quaint, diverse shopping boulevard. The word “Qualicum” means “Where the Dog Salmon Run” in the Pentlach language, and its namesake beach is plentiful in natural beauty. Located directly on the 49th Parallel and resting on the hillside overlooking the bay, Ladysmith is the southernmost community in the Mid VI region. Originally named Oyster Harbour, this spirited town of 10,637 residents—and growing at a rate of 7.4%—has an old soul and a forward thinking lifestyle. The town of Ladysmith is one of the greenest towns in British Columbia, while the charming downtown core celebrates its vintage Edwardian architecture. So close to Nanaimo that people may mistake it as one of Nanaimo’s neighborhoods, the District of Lantzville is a distinct community full of charm. This small, friendly village was originally known as Grant’s Mine, it was bought in 1920 and named after its founder, Fraser Harry Lantz. Despite its proximity to the bustle of North Nanaimo, Lantzville retains its peaceful character and uniquely friendly nature. As the region’s name suggests, Mid VI is located in the center of Vancouver Island. The areas we serve are on the Eastern side of the island. With one of the mildest climates in Canada, the Mid VI region is very desirable to live in. Regulated by the ocean and sheltered by the Mainland, Mid VI is protected from extremes in temperature and weather. The average temperature over the whole year only ranges between 15-20 degrees, and is in close proximity to oceans, lakes, rivers, and mountains. Summers are warm, but not uncomfortable, and winters rarely dip below freezing – meaning no snow to shovel! The Mid VI region is part of the greater economic region of Vancouver Island and The Coast, which includes all of Vancouver Island, the Gulf Islands and some of the coastal regions of the mainland. With nearly 800,000 residents, it is the second most populous economic region in the entire province.